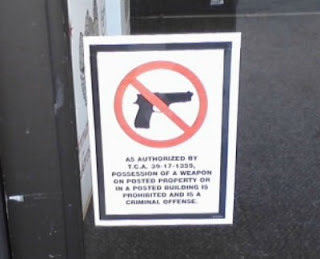 My local Jo-Ann's isn't posted (and VA "holds a concealed weapons law", if I'm understanding what they're trying to say), and I had no problems last Saturday. The cashier actually asked me about the Hello Kitty stickers on what she called my "bullet holders". I'll be contacting Jo-Ann's to let them know they've lost another customer.